Duchess Bake Shop is arguably one of the best patisseries in Canada. On any given day there is guaranteed to be a line up for their beautiful baked goods, which are always worth the wait. Last year at Christmas in November I learned that there were plans to open up a breakfast spot 5 blocks east of their current location, so I've been waiting eagerly ever since. Following the opening of the new Duchess Provisions at Holland Plaza comes the opening of Cafe Linnea, co-owned by Chef Kelsey Johnson and Garner Beggs (part owner of Duchess Bake Shop). This breakfast and lunch spot takes its inspiration from traditional Scandinavian and French cuisine, both of which share a part of Chef Kelsey's heritage. I stopped by for lunch with a friend on a Thursday to find a busy restaurant with a small wait list. 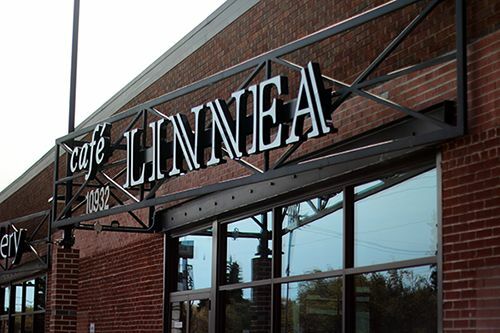 Although Cafe Linnea is tucked away from the busy 111 Avenue traffic, its hidden location has not stopped patrons from finding the space. The open concept restaurant features clean lines and minimalist Scandinavian-style decor, with copper accents giving the space a bit of warmth. 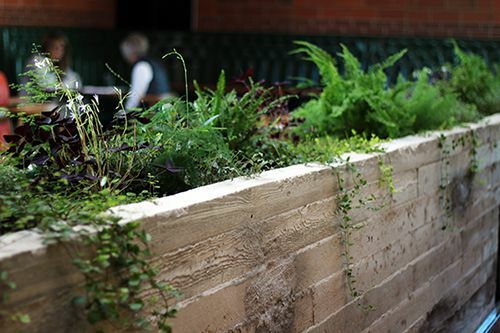 Concrete boxes filled with plants and mossy vegetation bring some life to room, and in some ways it feels like you're dining in a greenhouse with the sunlight coming in through the windows along the roof. 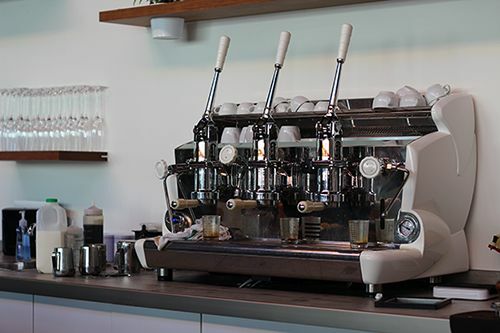 We opted to sit at the bar by the espresso machine, where the barista worked non-stop throughout our entire meal. What's interesting about Cafe Linnea is that it is a no-tipping establishment. Prices on the menu are reflective of using high-quality locally-sourced ingredients and are inclusive of GST, so what you see is what you pay. The reasoning is that by paying their staff high wages (full time staff are salaried and get benefits) the staff are motivated to come to work, and tips are not expected. 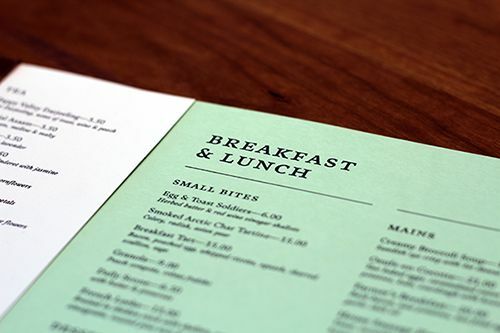 The menu is split between small bites and main dishes, both of which have a fair number of options to choose from. As we debated between a few different dishes we had our drinks to start. The cappuccino came along with a baby meringue - a sweet little touch! 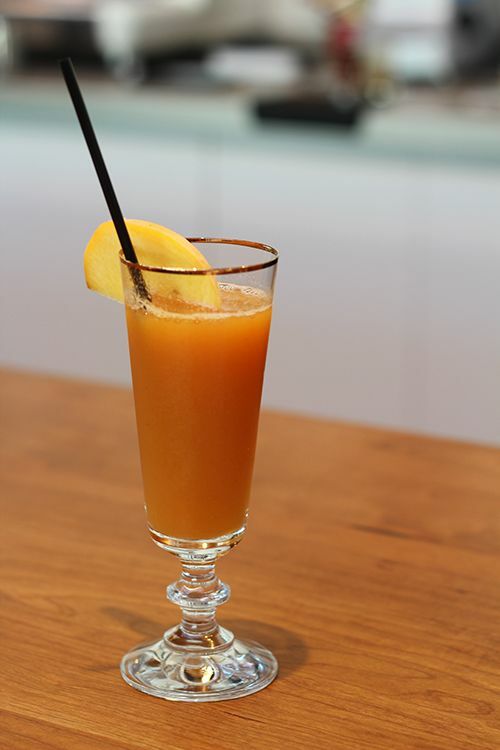 The bar also features a juicer for daily made-to-order juice. During our visit it was a mix of peaches and other seasonal fruit. For lunch my girlfriend went with the Seared Carrot Galette ($16). 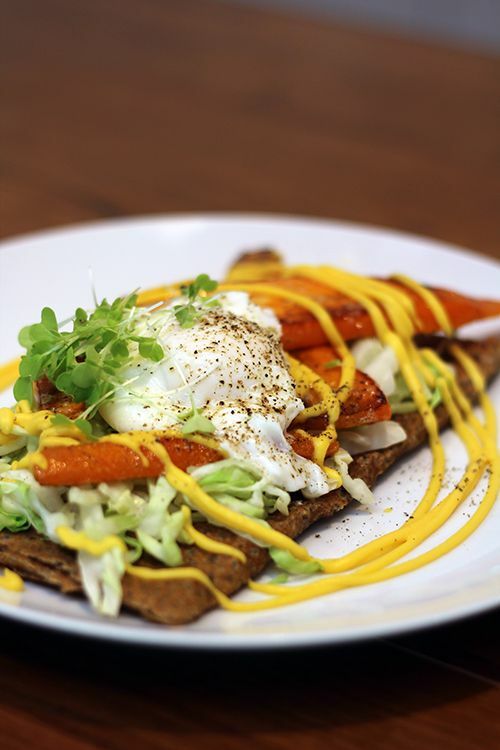 Caramelized carrots, raclette cheese, crunchy cabbage, kobocha squash puree, and a perfectly soft poached egg sat beautifully on a folded buckwheat crepe. The sweetness of the carrots and squash paired well with the savoury cheese, and the cabbage added a different textural element. The runny egg yolk tied it all together. 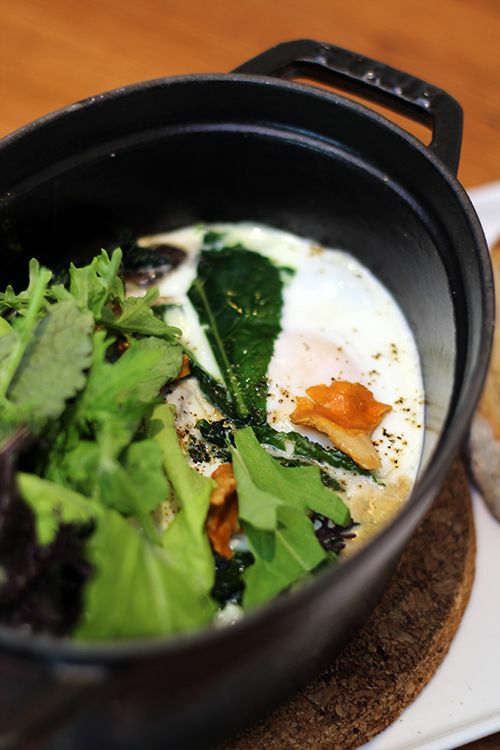 While I get tempted by sweet brunch dishes I almost always end up going in the savoury direction, and the Oeufs-en-Cocotte ($21) caught my eye. The dish came with two soft-baked eggs on a caramelized onion and mushroom ragu with potatoes, topped with baby kale and served with a side of whipped butter and housemade sourdough. After one bite into the eggs and ragu I was done for. The creamy ragu was packed full of umami from the different mushrooms used in the sauce, and each variety gave the dish a different texture. With creamy egg yolks added to the mix, it was a perfect pairing with the lightly toasted sourdough and butter. You bet I wiped the dish clean with my bread! 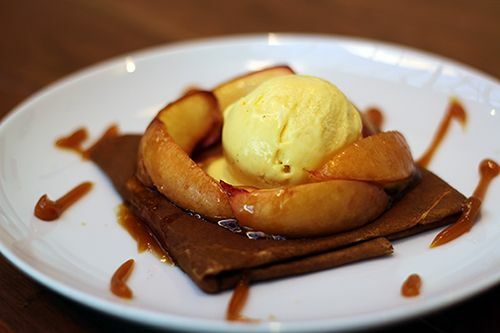 A meal isn't complete without dessert, even when you're full, so we opted to share the Roasted Nectarine Crepe ($11) with bourbon vanilla semifreddo and caramel. The roasted nectarines had a slightly nutty flavour and paired well with the silky custard of the semifreddo. Even with the caramel sauce the dessert wasn't overly sweet and rounded off the meal just right. Edmonton's brunch scene is growing and it's great to have another option available in the city. Prices range from $6-$21 per plate, putting this cafe on par with other establishments in the city. The use of local ingredients and house-made condiments brings to the table high quality dishes that customers of Duchess Bake Shop have come to expect. Stop by for breakfast or brunch, but be prepared to wait - there are no reservations unless you have a party of 6 or more. Reservations can also be made for high tea service on Sundays ($55/person), which I hope to check out soon! Hi Andrea, long time no talk, how are you doing? I'm so happy you guys have more brunch places. 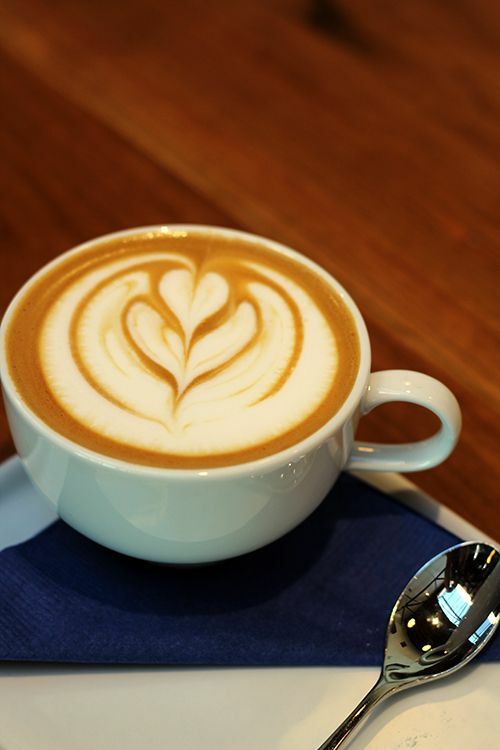 And that latte looks so good!